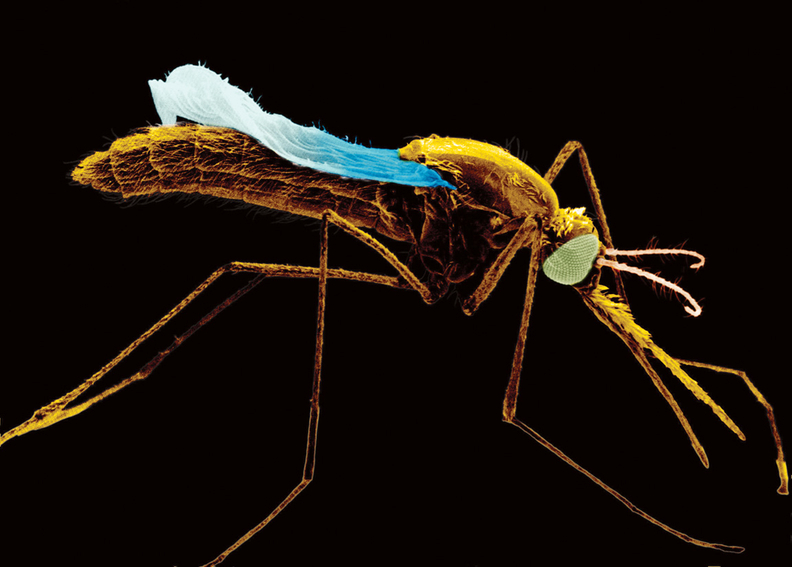 The prize-winning research identified six biomarkers of malaria infection, which can be employed to help create a breathalyzer to diagnose the mosquito-borne disease. Diagnosing a case of malaria now requires a blood sample and a lab to test it. But research by a team led by Dr. Audrey Odom John of Washington University School of Medicine lays the groundwork for a malaria breathalyzer that could automatically detect the infection. Her discoveries earned Odom John the $10,000 IDEA Incubator grand prize recently at IDWeek, a gathering of healthcare professionals in infectious diseases, epidemiology and prevention. The competition is IDWeek's latest offering for innovators to present their original inventions, products and devices to fellow professionals. After four years of research, Odom John, an associate professor in the pediatrics and molecular microbiology departments at the St. Louis medical school, has been able to pinpoint six biomarkers from a patient's breath to diagnose malaria. “Our next steps are to validate these biomarkers in additional studies, prior to optimizing a device for point-of-care use,” Odom John said via email. That paves the way for a simple, affordable and accurate tool to aid in the survival of infants and children in developing countries where lab tests may be difficult to conduct.